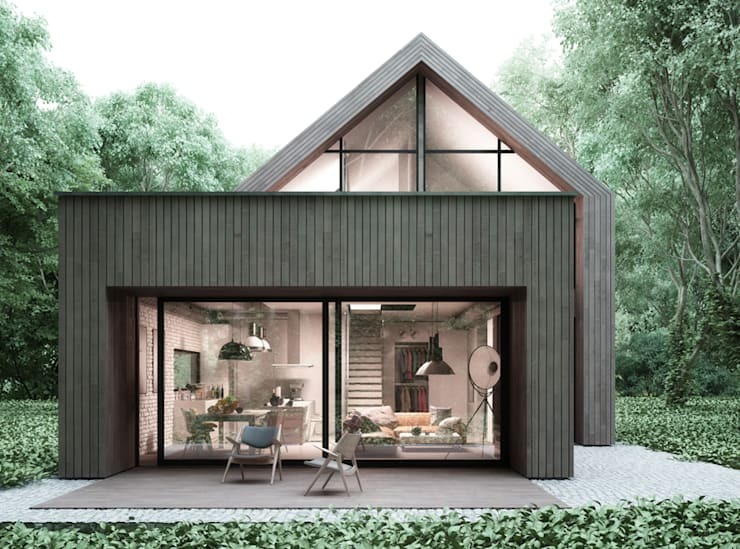 The home that are about to see today, designed by Majchrzak Pracownia, is a modern and sophisticated take on the old wooden log cabin. In fact today we are going to see just how trendy roughing it can be. Everyone needs a wooden cabin where they can escape from reality, from work pressures and from every day stress. A wooden cabin is a haven from the rest of the world. It's a place where you can possibly work on that novel you've been meaning to write! Or where you can curl up with your favourite book and wind down for a weekend. That doesn't mean you have to slum it though! Today you will see how escaping into the woods can be the most fabulous experience possible thanks to incredible architecture. Look at this fabulous and simple design! In the foreground we can see a wooden cube, with large glass doors, which opens the home out onto the little patio. 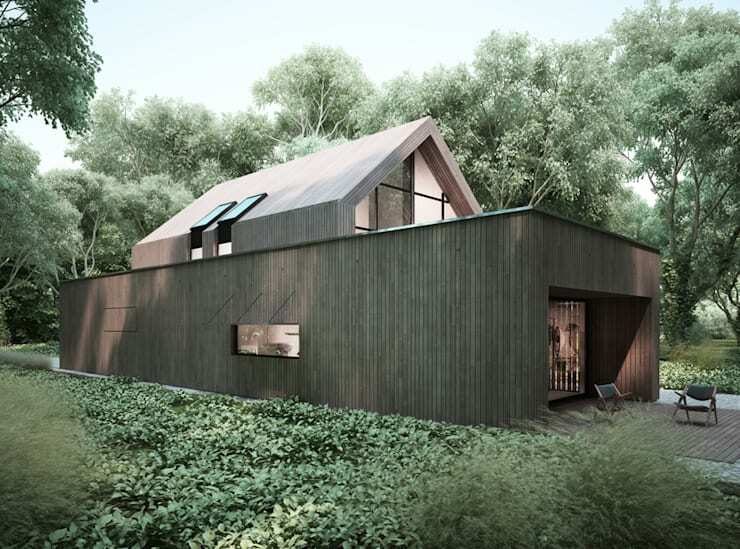 Behind it is a wooden triangle, which creates depth and character as well as a little twist when it comes to this otherwise simple, wooden cabin. We can see that it's not too big or ostentatious—the perfect size for a weekend getaway! The home is based on a square piece of foundation, which also leaves room for the lovely little patio. However, once we get to the edge of this foundation it is just pure nature. Lush trees, gorgeous grass and plenty of leaves! Have you ever seen a rustic, wooden cottage with an interior like this? We don't think so! The designers have gone for an industrial chic look as well as an open plan design. This is a great design tip for a small space. 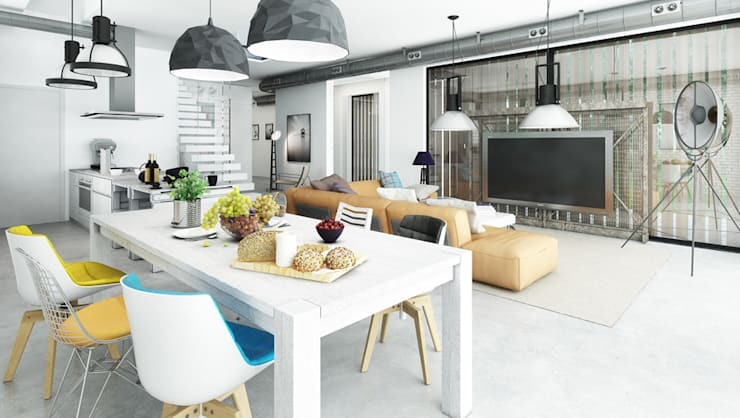 Open plan makes any space look bigger, lighter and more spacious. The dominant colours are white, black and silver, which are neutral, sleek and sophisticated. Don't you love all of the fabulous lights that have been used throughout this space? Have a look at these interior lighting guidelines for great design. The designers have included a caramel-coloured sofa in the home, which creates a slightly warmer and more cosy look and feel. Our favourite part? The large flat screen television. The white stairs are a sight to behold, which are encased in a sophisticated and elegant glass railing. It goes to show that a wooden cabin doesn't need to be drab, boring or run down inside! The designers have also made absolute use of natural light in this home as well as the panoramic views of the landscape that surrounds the home. Large glass windows and doors allow for views of the entire forest. There is also a large skylight, which allows for an abundance of natural light to filter into the entire living space. 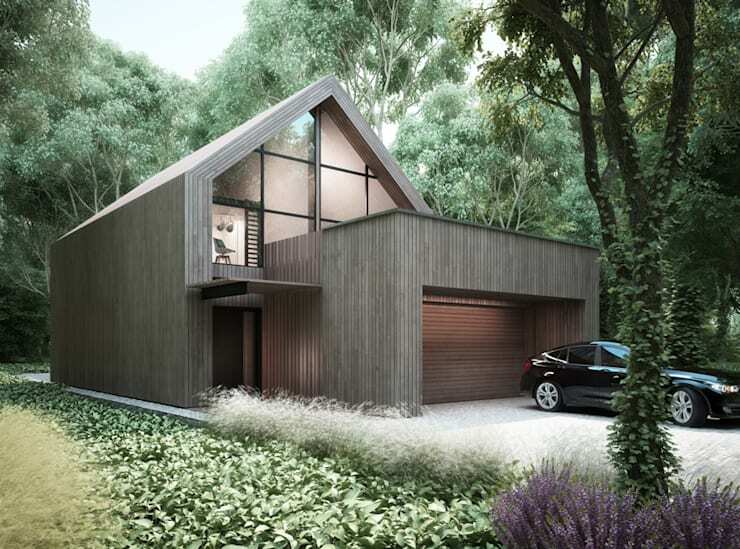 If we look at the exterior of the home from this angle, we can see how solid and sophisticated it looks. 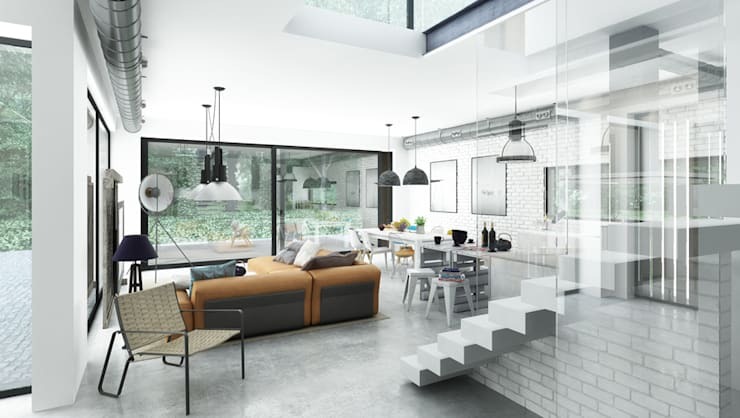 We can also see how little windows and sky lights are dotted throughout the home, allowing views from the inside out. The wood also works beautifully with the lovely greenery. You can't have a log cabin without some gorgeous wood! We can see that this house spills out onto a lovey little patio. Patios are fabulous for any home and aren't to be overlooked. We end off our tour looking at the home from the front where there is a stylish garage and a lovely little front door. We can also see an open loft area, visible thanks to a large, glass panel. A garage really is an important feature of a home, providing a neat little space where you can store your bicycles, car and other items. Even a wooden cabin can do with a garage. Everything about this home is absolutely incredible. Wouldn't you want to spend a weekend relaxing in this gorgeous home? Have a look at this: Cool contemporary wooden home! If you visited this home, would you ever leave?